Detoxifying Quick Flush Capsules are a unique combination of eight Vitamins, including niacin and natural herbal extracts. 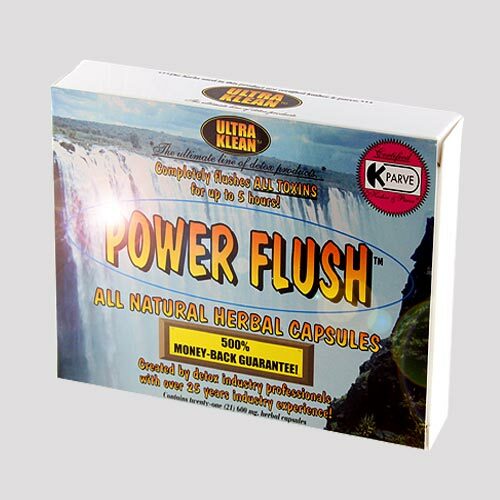 The capsules work as an agent, which flushes and aids the body in getting rid of unhealthy pollutants and toxins, through speeding the process of urine flow. 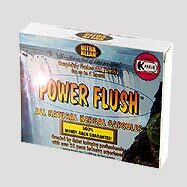 This unique blend acts collectively in breaking down drug metabolites and cleaning the urinary tract. Absolute Quick Flush Capsules work within 1 hr and remain in effect till 5 hrs. The maximum effectiveness of the capsules is 2 hrs of consumption. For increasing the possibility of successfully passing the urine drug test, it is suggested to use this product with nutritional supplement beverage QCarbo drink. The ingredients of the Capsules include Vitamin B12, Vitamin A (acetate), Vitamin E, vitamin B2 (riboflavin), Vitamin C (asorbic acid), vitamin 6, vitamin B1 (thiamine), Niacin (niacinamide), St. John's Wort powder, herbal extracts of Dandelion root powder, Sarsaparilla roots powder, Chamomile flower powder, Uva Ursi leaf powder, Red Clover powder, Celery seed powder, Creatine Monohydrate and Alfalfa leaf powder. 1. To get complete detoxification, intake all 18 capsules, between a span of 15 mins. 2. Intake approximately 16 ounces of water, with all 18 capsules. 3. Hold for about 15 mins, and intake 16 ounces water again. 4. For subsequent 6 hrs, it is suggested to consume 8 ounces of water within every hour, in order to achieve prolonged effect. 5. Do not eat food items that are high in the sugar content, especially fruit juices. 6. Avoid doing any kind of physical activity. Other than these, an individual can drink and eat normally. Absolute Quick Flush Capsules have a temporary effect, for getting permanent complete body cleansing, consider Premium Detox 7 Day Comprehensive Cleansing Program.